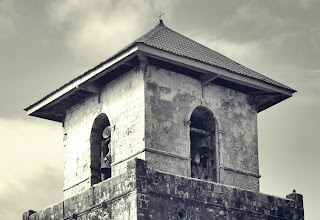 The church itself has a rich history as it stood as a witness to the eventual emancipation of the Philippines from the Spanish colonizers who built the church as believed to be sometime around 1727 while the actual settlement of Spanish Jesuits mission was founded in Baclayon around 1595. "Shortly after their arrival, a visita was erected on the spot. 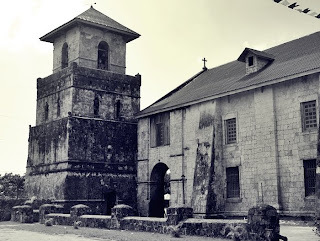 Although Baclayon was the first seat of the Spanish Jesuit missionaries, fear of Moro mauraders soon forced them to move their headquarters more inland, to Loboc. 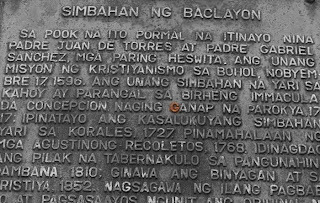 Only in 1717, Baclayon became a parish, and construction of a new church commenced. Some 200 native forced laborers constructed the church from coral stones, which they took from the sea, cut into square blocks, and piled on to each other. They used bamboo to move and lift the stones in position, and used the white of a million eggs as to cement them together. The current building was completed in 1727. The church obtained a large bell in 1835. 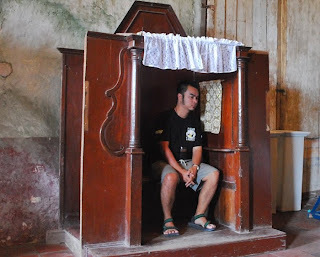 In the Baclayon church is a dungeon, which was used to punish natives who violated the rules of the Roman Catholic Church." 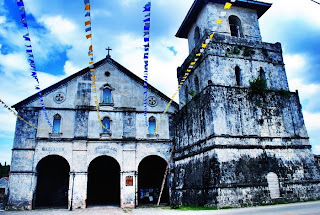 Present day, the church itself stands as one of the must see landmarks in Bohol, beside it is a museum that houses hundred years old artifacts, antiquities, relics and other religious mementos. It is said that "You've never been to Baclayon until you see the museum". 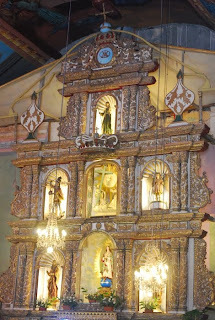 The museum itself was among the earliest parish church museums established and paved the way for other old and historical parishes all over the Philippines to erect their own museums. After arriving at Tagbilaran port, I rode a rented van driven by a guide and Baclayon Church was our second stop for the day (after the Blood compact monument), I got there on a Sunday and there was a mass being held on the church with the museum closed for the day. Not an avid churchgoer myself I stood for a few minutes just watching the churchgoers listen to the priest and at the same time admiring the ceiling with its detailed murals, religious statues and the elevated platform known as "Pulpit" or "Pulpito". Pulpit or Pulpitio: raised platform in a church, usually enclosed, where the minister or preacher stands to conduct the sermon. The next day, I asked the tricycle driver to take me again to Baclayon Church before going to Tagbilaran port on my way back to Cebu. 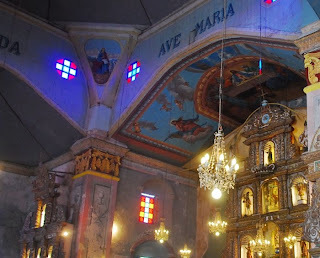 There I found the church administering a mass wedding to at least 2 dozen couples and the people around are also busy preparing for the town fiesta which occurs every December 8 - the feast of Mary Immaculate. I took some photographs of the church exterior, the coral stones, the interior with its wonderful high arched ceilings, the facade and its stone inscription and the majestic altar beaming with hypnotic lights from the statues of Christ, Virgin Mary and other Roman Catholic saints. 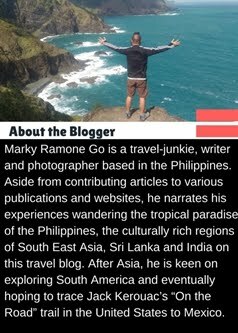 Around the Philippines, towns, cities and even whole provinces prides themselves in being the location of a historic church or a religious place of worship that defines and guides their inhabitant's way of life. Just like the Sto Nino Cathedral in Cebu, the Baclaran church in Pasay or even the Quiapo Church in Manila. It's unbelievable how a place of worship can withstood the test of time through hundred years and still gather many people and center their spiritual quest and have them pass it onto the next generation. I'm not a religious person nor a devoted Roman Catholic, sometimes I may try to live as if I don't belong with any religion. However seeing the faithful who congregate in various places of worship, regardless of religion whether it's a church, a temple, a mosque. The difference in belief does not matter, all that matters is the quest for spirituality through faith and devotion to what everyone believes is not paramount but of equal leaning to achieving peace of mind and enrichment of the soul. That I think is the most important thing. 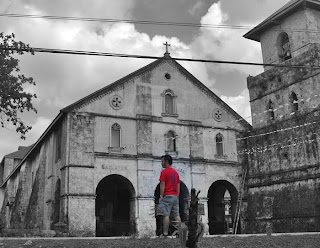 I visited Baclayon Church only at the thought that it is a historical church, I left the place knowing and understanding more than just brushing up a bit of history. It's not far fetched that I might find myself in a confessional booth soon.